The Drumright Dental Center Dental Assistance Plan is designed to provide affordability and greater access to quality dental care. AUTO RENEWAL POLICY – 5% OFF Sign up for auto-renewal of your discount plan and receive 5% off net year’s premium! This is a discount plan, not an insurance plan. This plan is only honored at Drumright Dental Center. This dental discount plan is not an insurance plan that can be used with any other dental office. 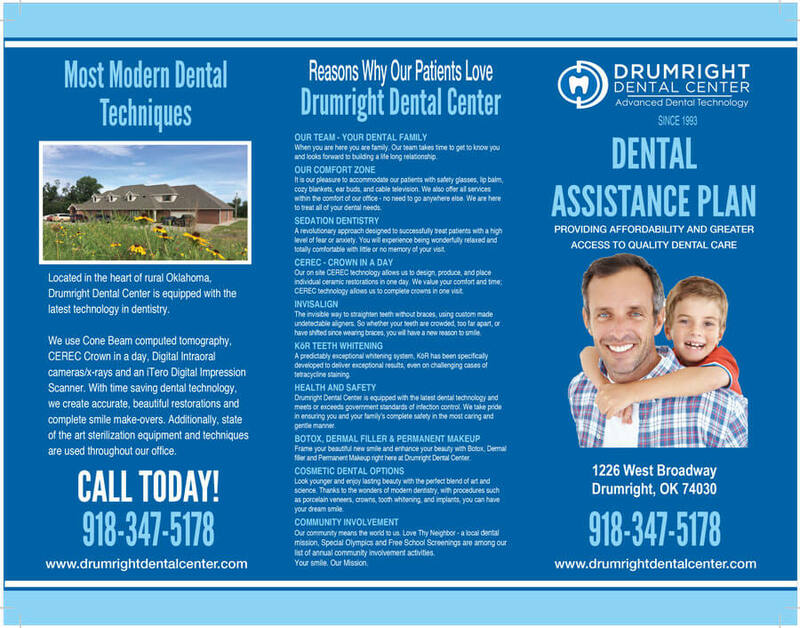 You can view a brochure with additional information on our Dental Assistance Program by clicking on the image below.